I work as an illustrator for Bright Agency. If you want you can contact my agent, Hannah, at this email: hannah@thebrightagency.com. Trabajo como ilustradora para Bright Agency. 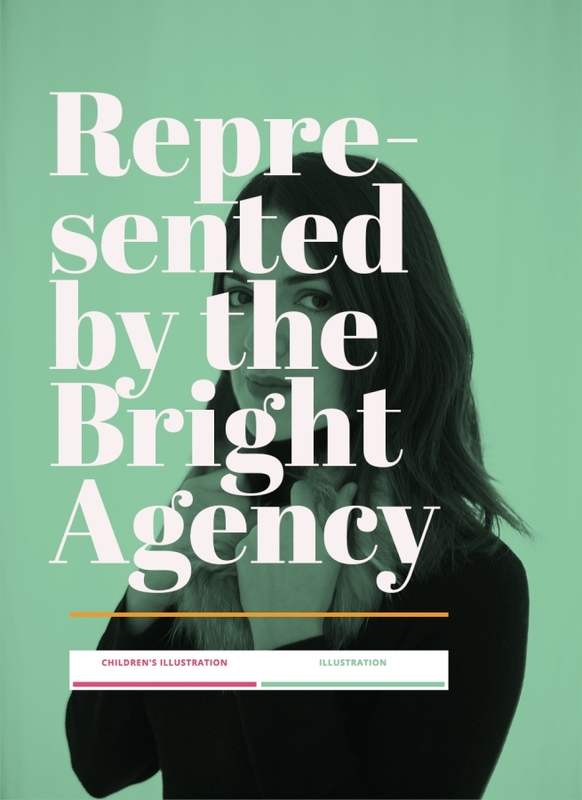 Si quieres puedes ponerte en contacto con mi agente, Hannah, en este mail: hannah@thebrightagency.com. Raquel is a Spanish graphic designer who is in love with one thing: typography. Her illustrations are full of letters which she herself designs to measure. She has designed book covers, magazines, cans, logos, wine bottles, chocolate boxes, etc. By mixing illustration and typography she provides her designs with a unique and distinctive touch and creates messages with a great visual impact. Although she got her Bachelor’s degree in History, she really felt in love with graphic design when she attended a lecture on editorial design. She moved to Barcelona, where her “love affair” with design and typography started. She worked as a freelance in different firms for several years and she got a master’s degree in advanced typography at the Universidad Autónoma de Barcelona. In 2009 she founded Lalolagrafica, a small firm specialised in editorial design and typography. She is hired to write articles about design and typography and she is also the author of the book on graphic design Ortotypography for Designers published in 2013 by Gustavo Gili (Barcelona). She is currently writing her PhD thesis about design and typograhy and preparing her second book. She likes collecting old signs, swimming, ballet, music and living in her small town, close to her family and friends.